During the 1970s, a key strength of the drama department at BBC Pebble Mill was its ability to unearth new talent; not just through flagships like Play For Today, but also the entry-point offered by the likes of Second City Firsts. Running from 1973 for ten series, this half-hour slot took a chance on a spectacular range of ‘regional talent’ including Willy Russell, Julie Walters, David Rudkin, Brian Glover and many others. Just as importantly, it offered a diversity of representation that often compares favourably with today’s TV drama. 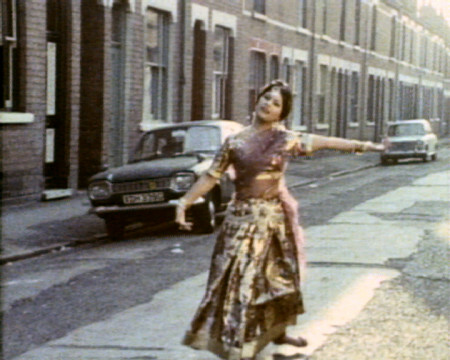 A Touch of Eastern Promise (1973), is not officially a Second City First, though it emerged from a very similar slot. Written by Tara Prem, it’s the tale of a daydreaming shop-boy who has the opportunity to meet his favourite star. Partly shot in Balsall Heath, all the cinema scenes were captured at the now-demolished Imperial on Moseley Road. To follow, an Alison Steadman double-bill: studio-shot military drama Girl (1974), which features the first lesbian kiss seen on British TV; and then Early to Bed (1975), with Steadman smouldering on location in a depressed mill town. This claustrophobic tale of infidelity was the first television script by Alan Bleasdale, who later went on to Boys From the Blackstuff and GBH.